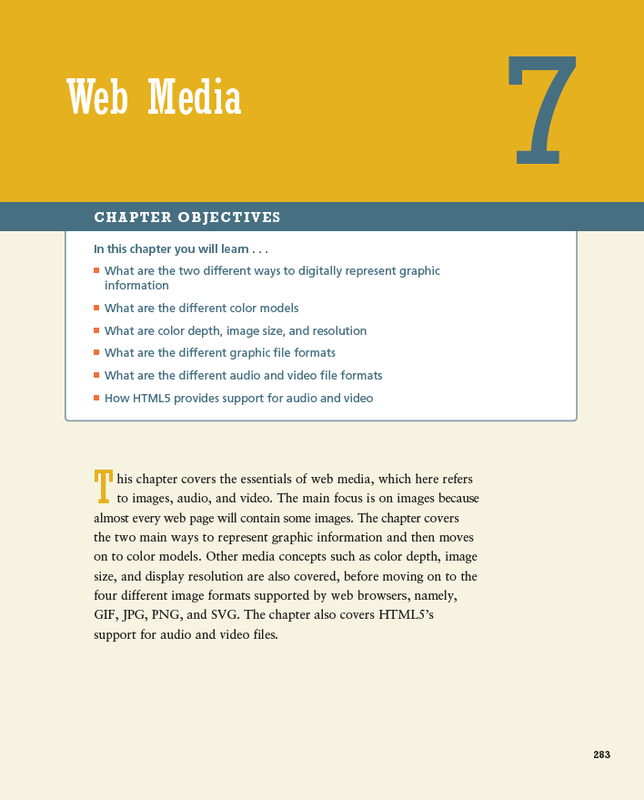 This chapter covers the essentials of web media, which here refers to images, audio, and video. 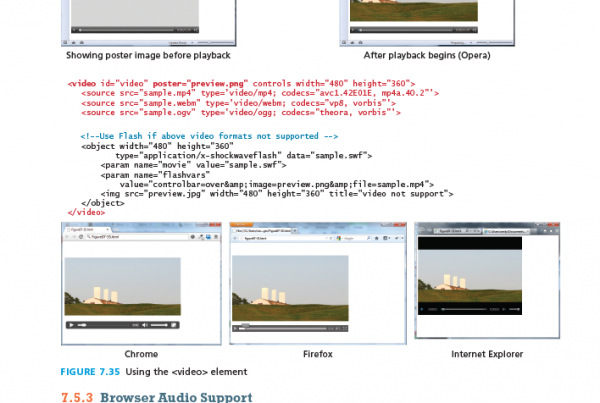 The main focus is on images because almost every web page will contain some images. 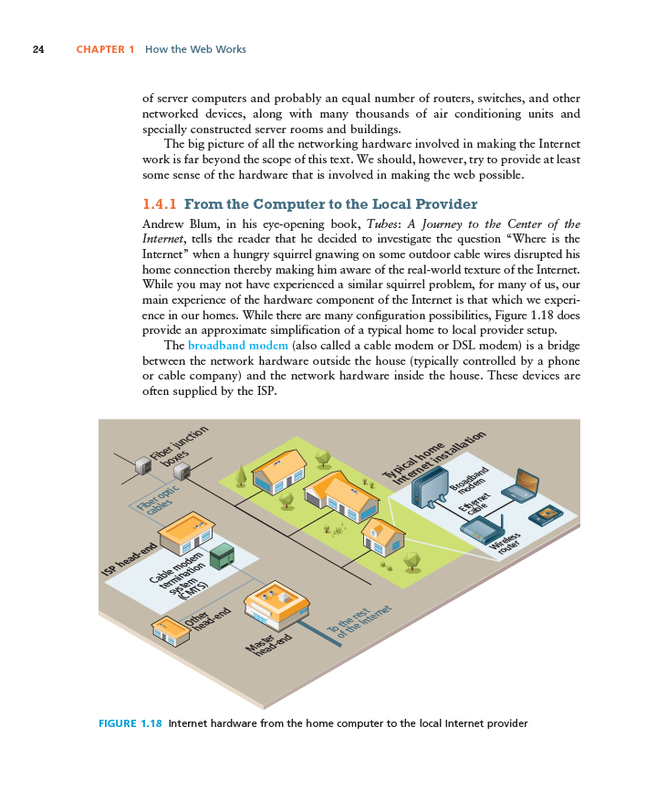 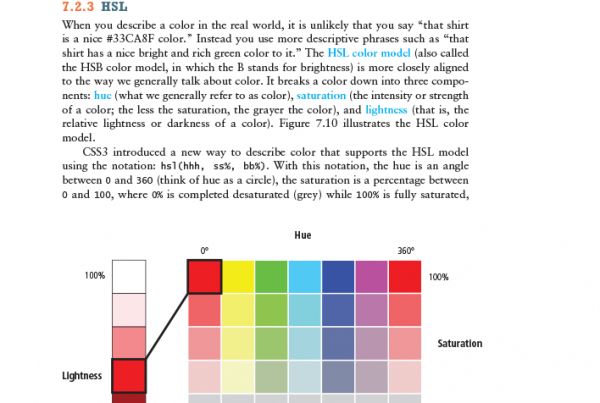 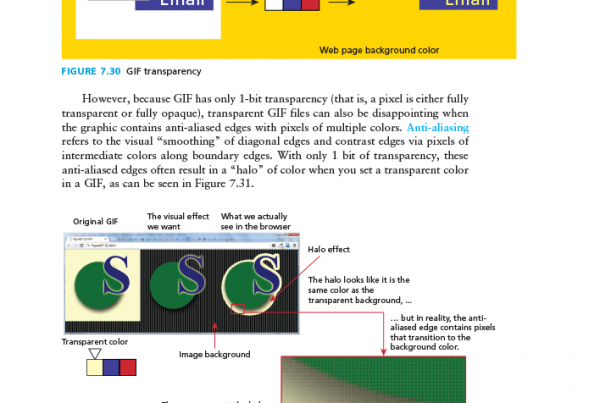 The chapter covers the two main ways to represent graphic information and then moves on to color models. 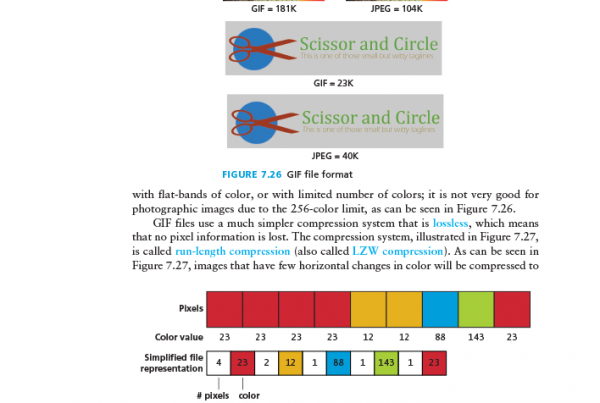 Other media concepts such as color depth, image size, and display resolution are also covered, before moving on to the four different image formats supported by web browsers, namely, GIF, JPG, PNG, and SVG. 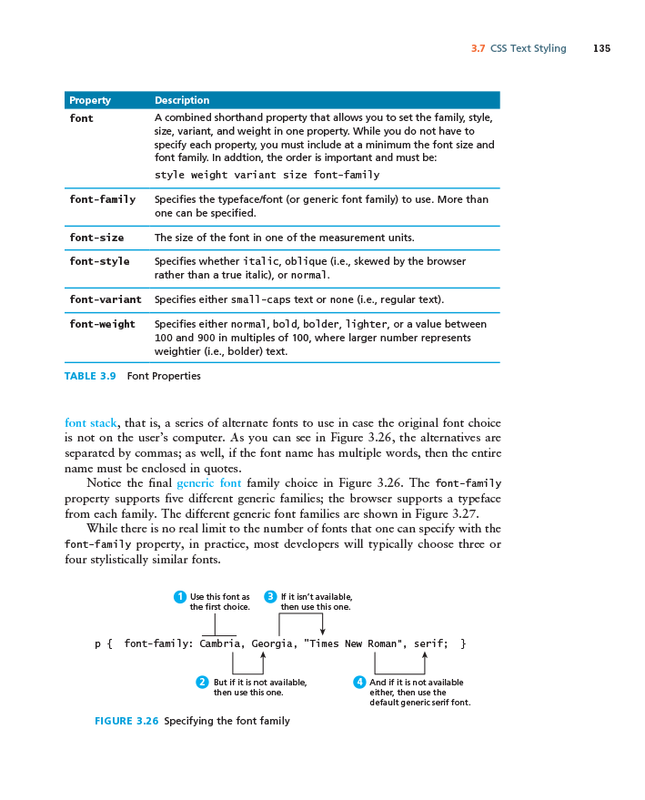 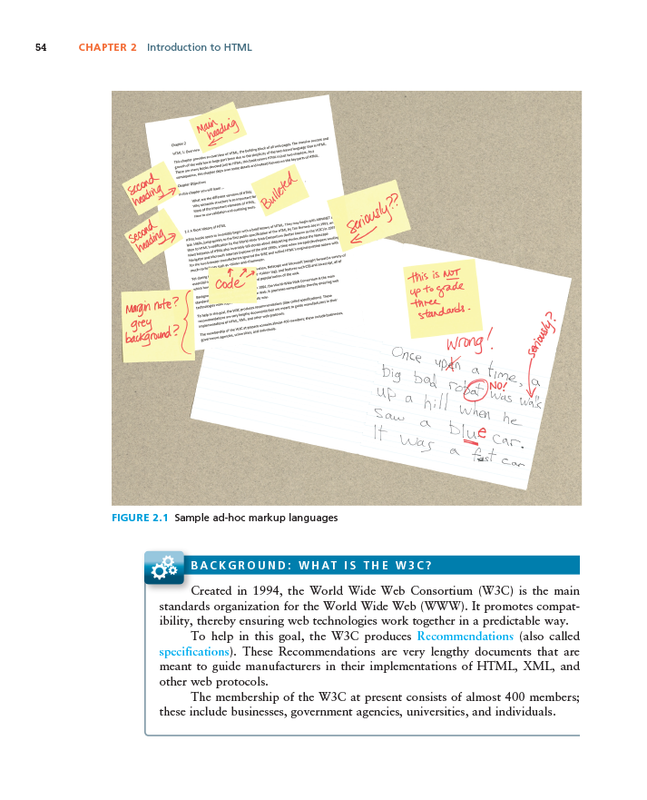 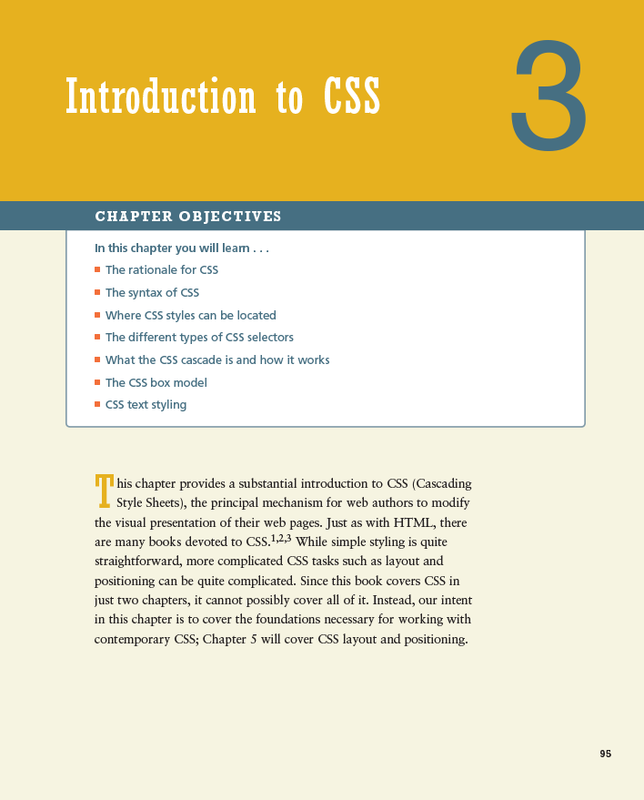 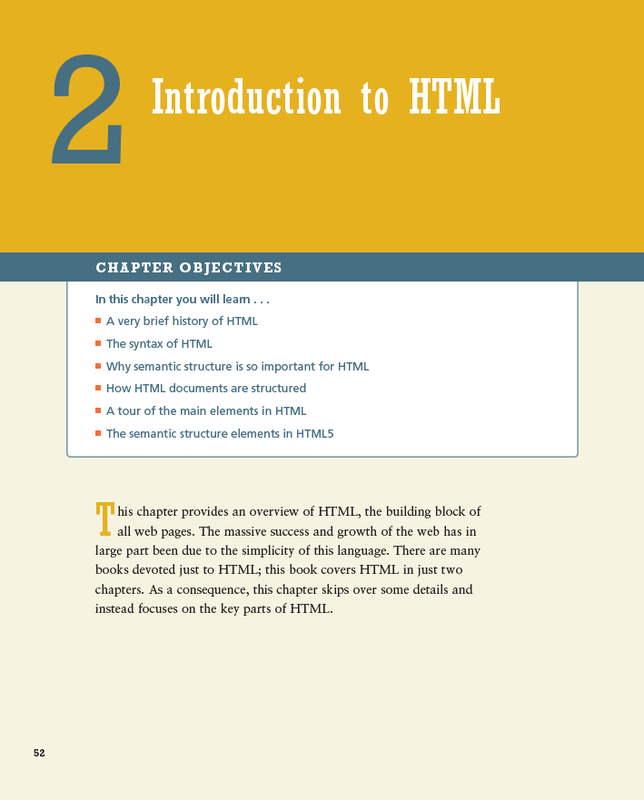 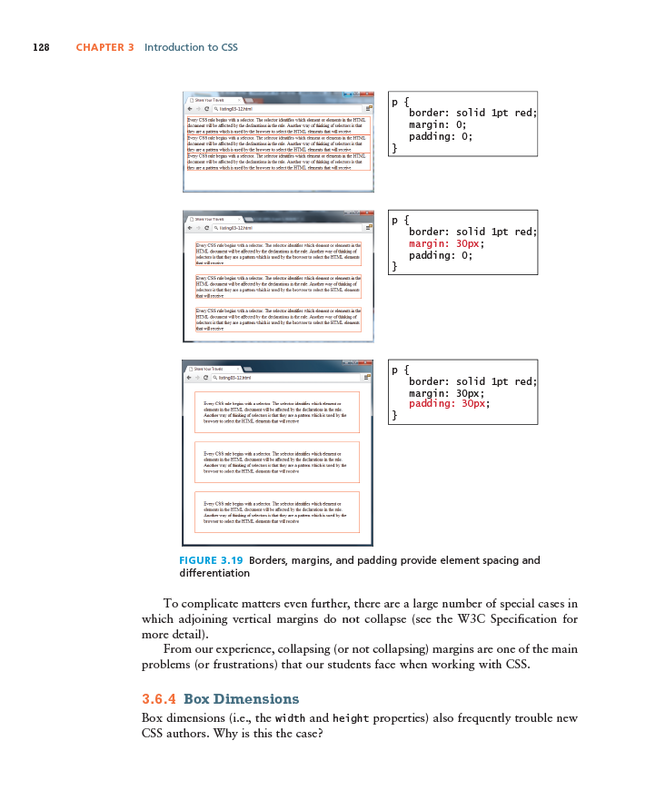 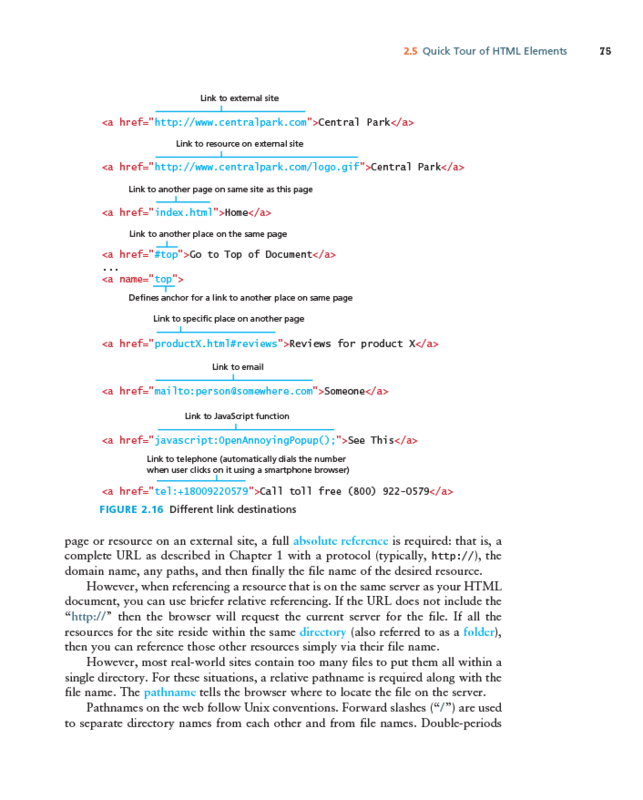 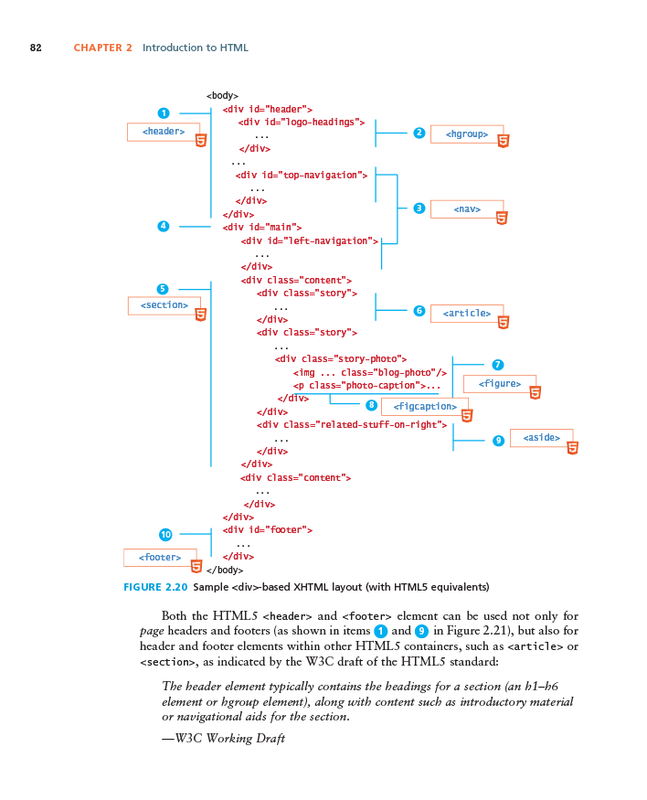 The chapter also covers HTML5’s support for audio and video files.